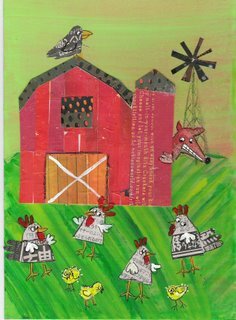 Chicken FARM: Collage and acrylic. 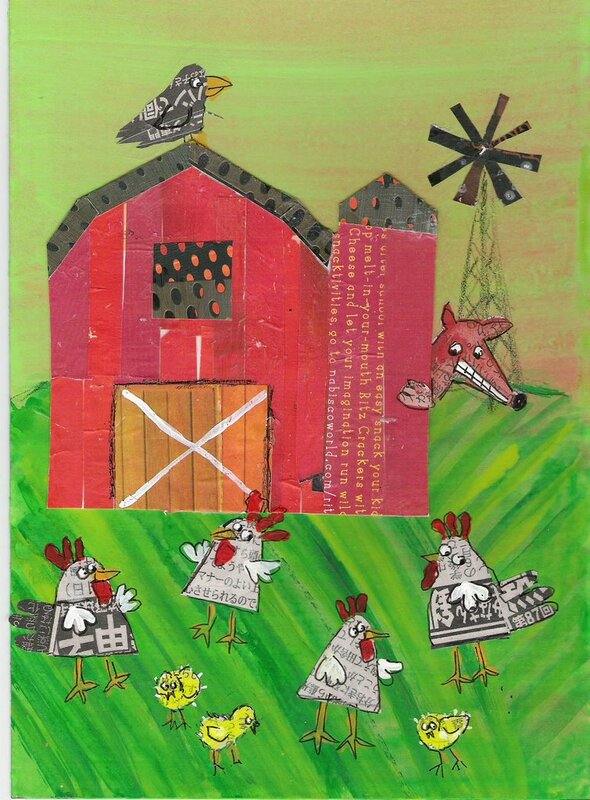 I used reds from magazines, and Japanese newsprint for chickens and fox. Thanks, to all who wished my son well last week he's home and recovering.